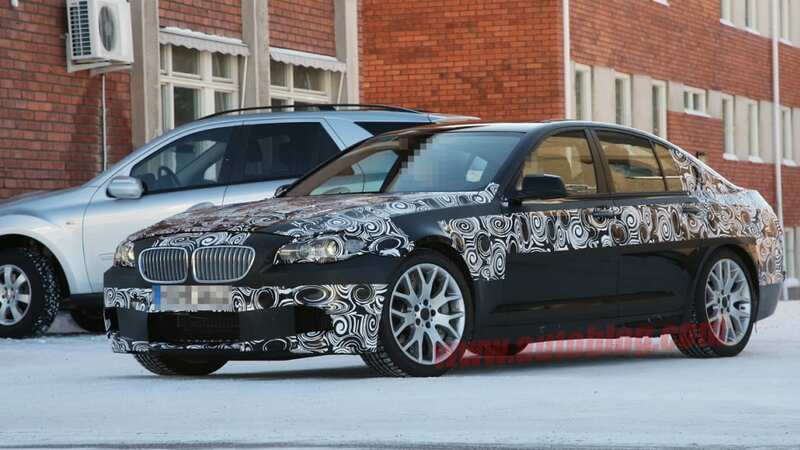 It seems that the 2011 BMW M5 is nearing production-ready status, and while the new supersedan may still be wearing a bit of swirly camouflage, it's easy to see what the more aggressive M5 will look like in its new F10 5 Series body. 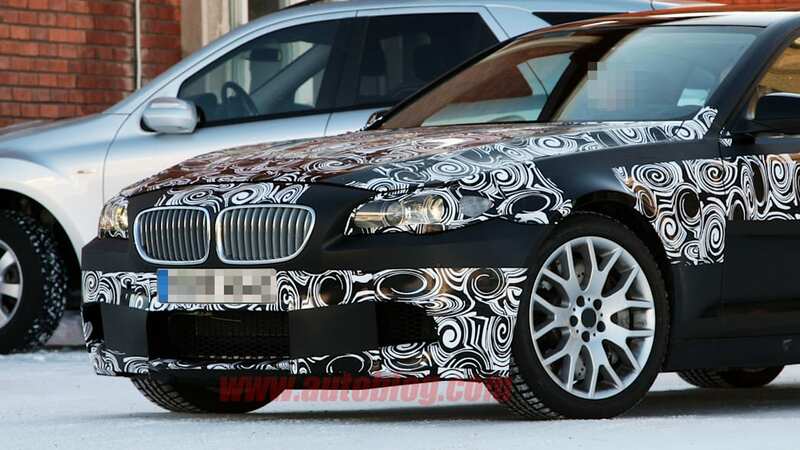 As we've mentioned earlier, the 2011 M5 is expected to ditch the outgoing car's high-revving V10 in favor of a twin-turbocharged 4.4-liter V8 borrowed from the X5 M and X6 M. Currently, that engine kicks out 555 horsepower and 500 pound-feet of torque, but if the rumormill is to be believed, BMW's M division has cranked out some extra punch for the M5, to the tune of 578 hp and 530 lb-ft. That means 0-60 mph runs should happen in under 4.5 seconds on the way to a limited top speed of 155 mph. As for transmissions, we'll bet our last dollar that the M5 will use a dual-clutch setup, and we're still crossing our fingers that a proper manual transmission will find its way into the cards as well. 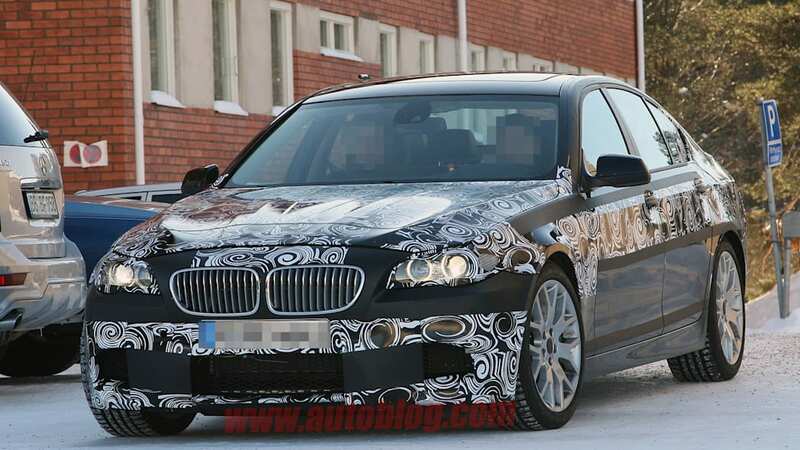 Expect the production-ready M5 to debut later this year (Paris Motor Show?) or in the very early months of 2011. In the meantime, click through the attached gallery to see all of the high-res spy shots.